We provide a safe, friendly and secure environment for disabled riders and people with physical, intellectual, emotional and social challenges to be empowered through building confidence, independence and a feeling of well-being through therapeutic horse riding and close interaction with the horses. Our therapy courses are run on a Tuesday and Thursday. 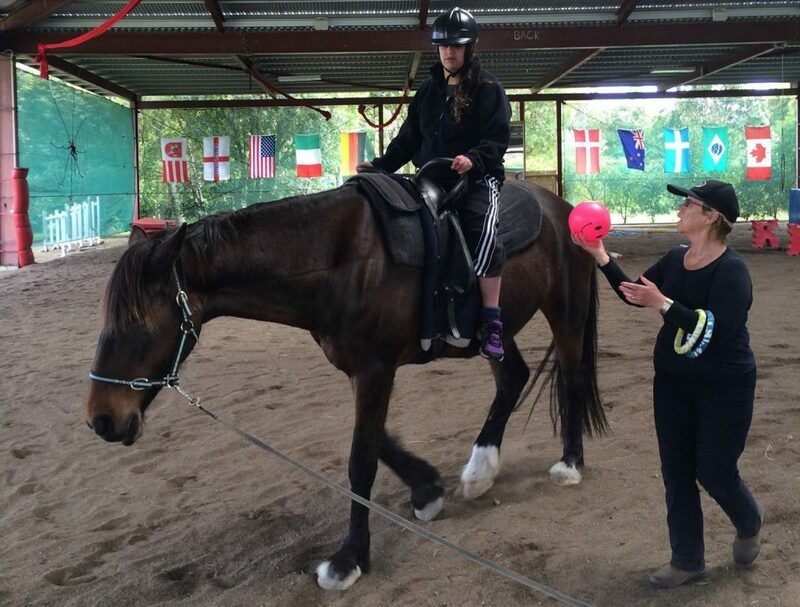 We adapt our programmes to suit the various levels of disabilities, by supplying a range of exercises both on and off the horses as well as our range of equipment and props and tools designed to build confidence and strength. The courses are designed for the young as well as adults whose disabilities may limit their enjoyment & quality of life. As part of the program participants may also spend time learning and understanding the skills associated with the care of the horses. This gives the participants a real sense of achievement as the interaction with horses is always enjoyed by both. Equine assisted therapy and rehabilitation has been scientifically proven to provide incredible benefits for those who suffer from cerebral palsy, spina bifida, paraplegia, multiple sclerosis, and strokes, have intellectual disabilities, visual or hearing impairment and even learning disabilities. The use of horses as a mode of movement under the rider basically simulates that of walking and thus stimulates the same muscle groups required for walking, standing and sitting in an upright position. The gait and cadence of the horse provides a slow, rhythmic and repetitive motion that mimics that of human reciprocal gait patterns that children and adults with disabilities lack. 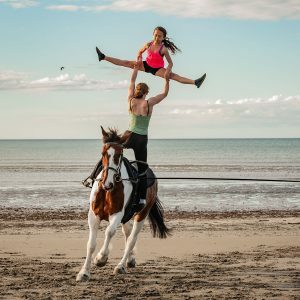 The requirement to simply sit and hold the vaulting girth arms on the back of a moving horse in itself helps strengthen the various muscle groups and develops balance and coordination and most importantly can compliment other treatment regimes that the participants may be involved with. We are always seeking volunteers to help us with therapy courses. You don’t have to be a horse enthusiast or have any special knowledge about disabilities, you just need to care about people and want to make a difference to other people’s lives. You would be mainly walking beside the horses to prevent riders falling, sometimes leading the horses, so being moderately fit is a help. If you feel you could help for a couple of hours on either Tuesdays or Thursdays…give us a call on 04 902 6108. We’d love to meet you.